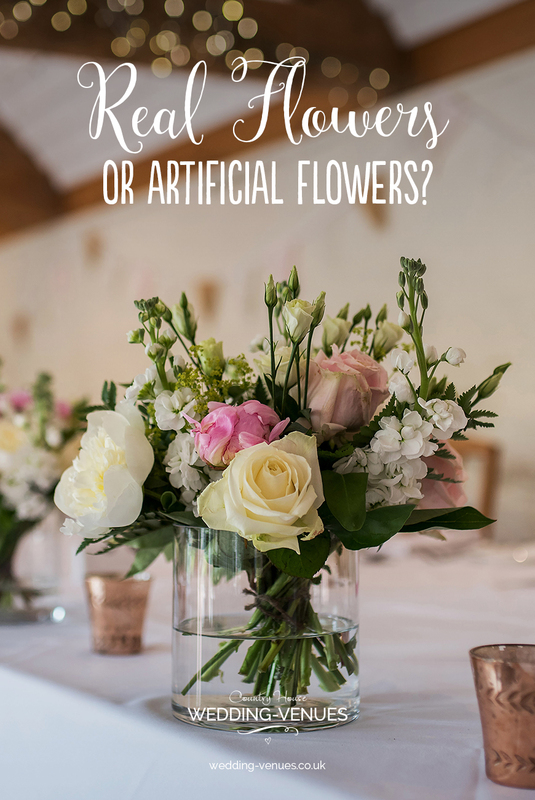 Your wedding flowers make a big difference to the look of your big day, but should you buy real or artificial? Flowers are always seen as an integral part of wedding décor and it’s easy to see why. They’re beautiful, colourful, romantic and more than a little luxurious. 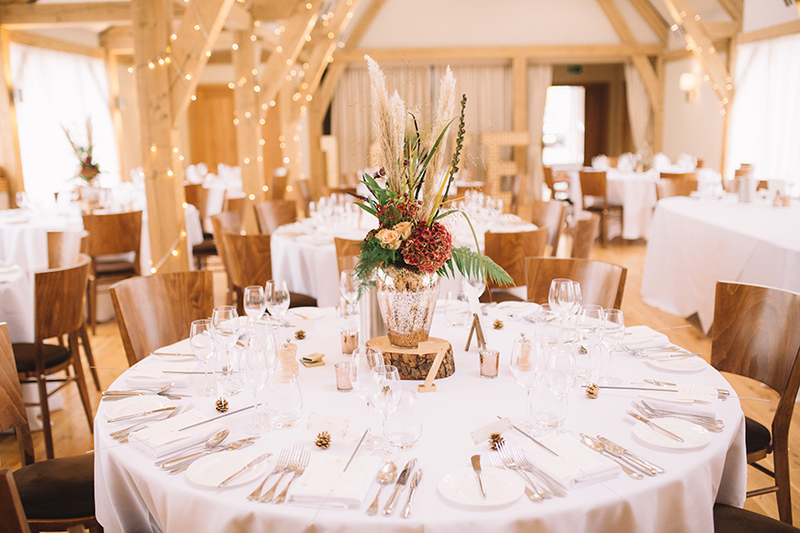 Filling your venue with floral decorations and carrying a gorgeous bouquet are often high on a bride’s list of priorities but you might have more choice than you think. 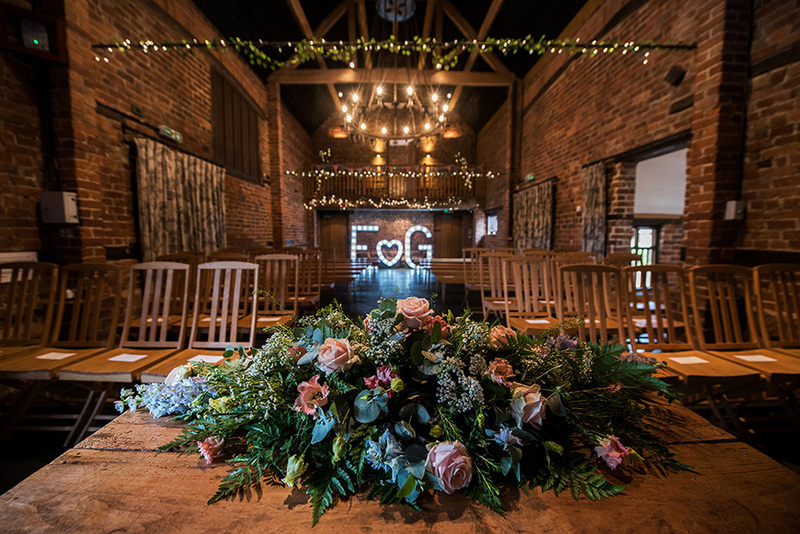 Have you considered whether you’ll choose fresh or artificial wedding flowers? If this decision needs to be made, here are the pros and cons of both that you might like to consider. 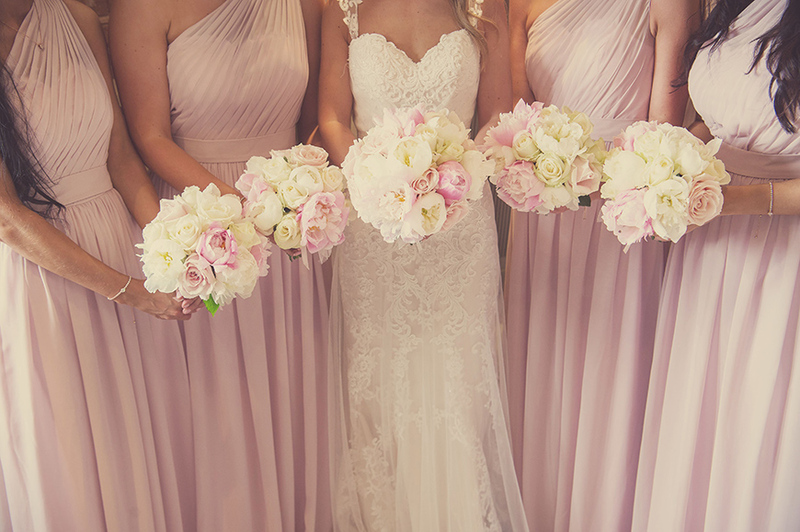 Pro – fresh wedding flowers are naturally beautiful and quintessentially romantic. Con – some flowers can be very much more expensive at certain times of year or suddenly become unavailable if the weather’s not kind. Pro – there’s nothing more natural than seasonal blooms grown here in the UK. Con – they don’t last! 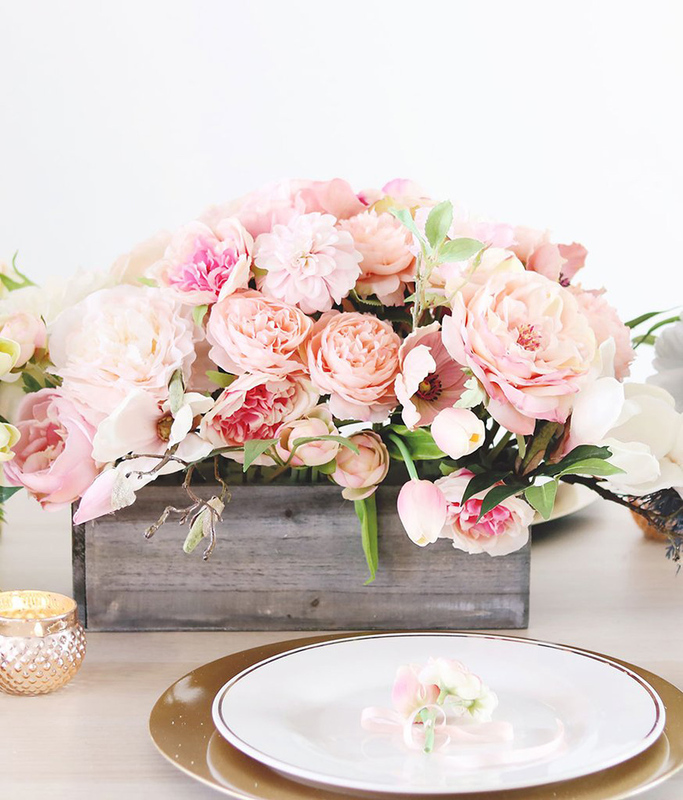 However beautiful your blooms are, they’ll be past their prime a few days after your wedding. Pro – fresh flowers can bring a delicious scent to your wedding venue and that aroma will always remind you of your big day for years to come. Con – depending on the arrangements that you’re having, the cost of the florist’s time and the blooms themselves can make fresh flowers very expensive. Pro – you can grow you own! Even if you don’t grow the flowers for your bouquet, you can definitely grow flowers in pots as decorations or favours. 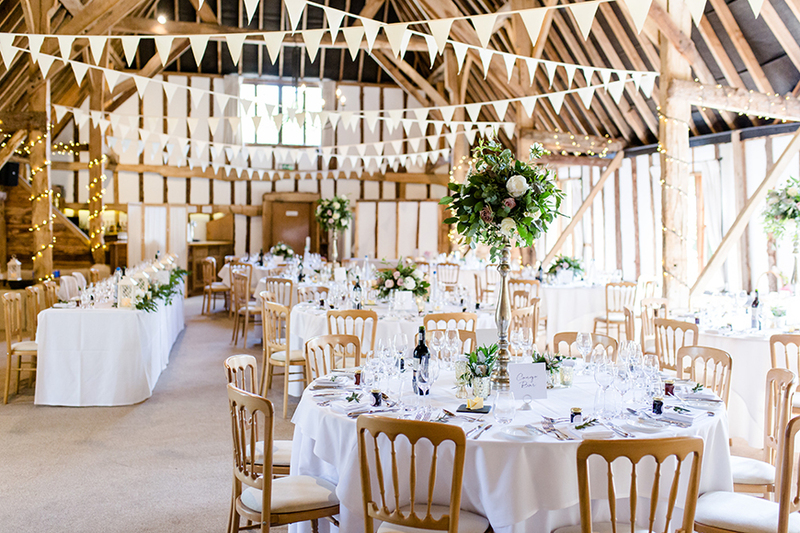 Pro – you can buy them well in advance of the wedding and you’ll know exactly how much they’re going to cost. Using artificial flowers can really cut your floral bill. Con – artificial flowers don’t come with the gorgeous scents of fresh flowers. 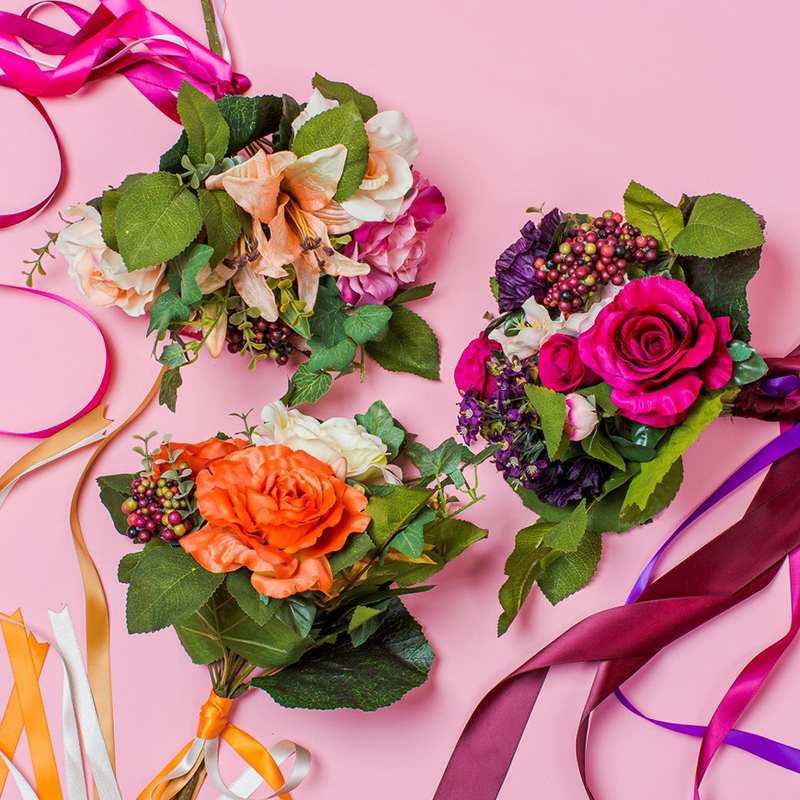 Pro – if you want to DIY your wedding flowers, fake flowers give you the opportunity to do this well before the wedding day. Con – sometimes the quality of the flowers that you receive doesn’t quite match up to the photos online. You don’t want the colours to run on your big day! Pro – you can use any flower you like at any time of year, regardless of seasonality and, if you suffer from hayfever, these blooms won’t affect you at all! Con – if you hire your artificial floral displays, they might not be brand new or looking as ‘fresh’ as possible. Frayed or dirty petals aren’t going to look great. Pro – they last forever! This is great if you want to keep your bouquet or if your wedding is taking place over a few days. 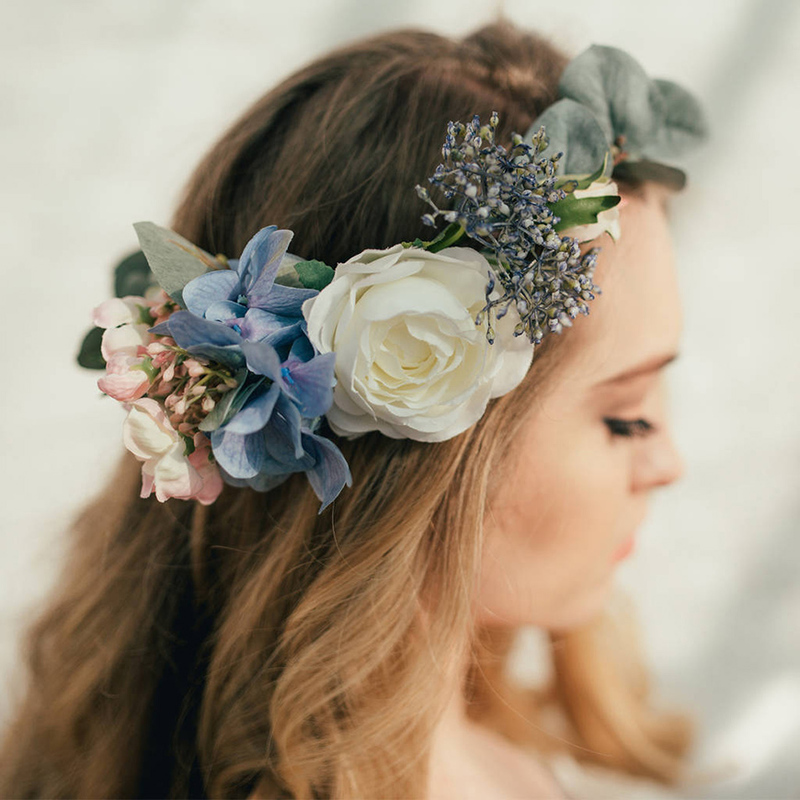 Whatever you choose, make sure that your flowers look AMAZING – take a look at these super beautiful and bright wedding flowers.